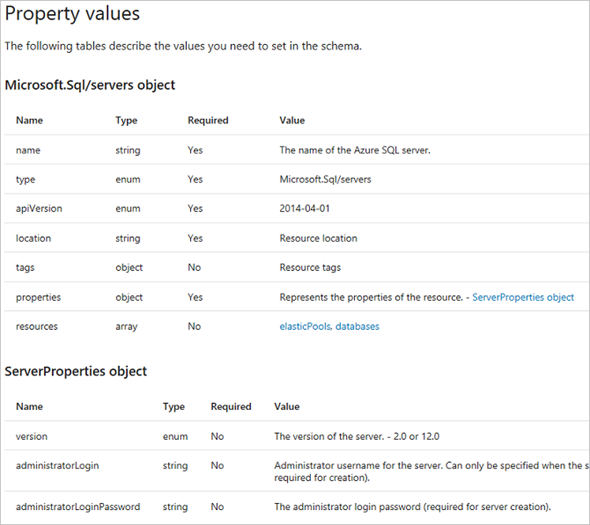 We have published new documentation for creating Azure Resource Manager templates. The documentation includes reference content that presents the JSON syntax and property values you need when adding resources to your templates. 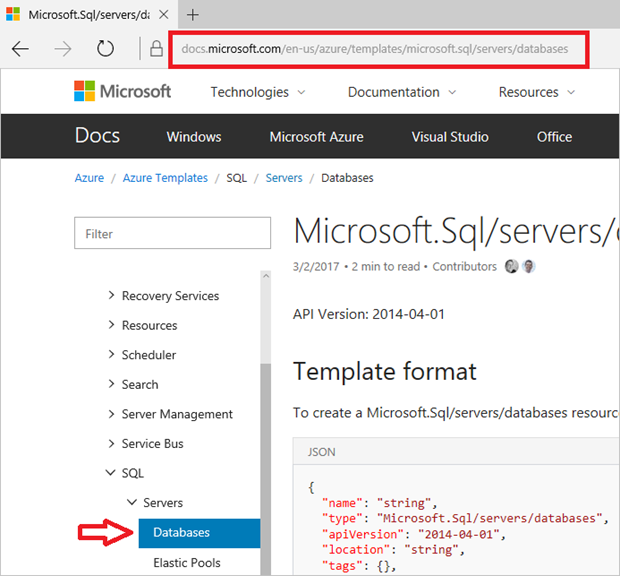 If you are new to Resource Manager and templates, see Azure Resource Manager overview for an introduction to the terms and concepts of Azure Resource Manager. The template reference documentation helps you understand what resource types are available, and what values to use in your template. It includes the API version number to use for each resource type, and all the valid properties. You simply copy the provided JSON into the resources section of your template, and edit the values for your scenario. The property tables describe the available values. 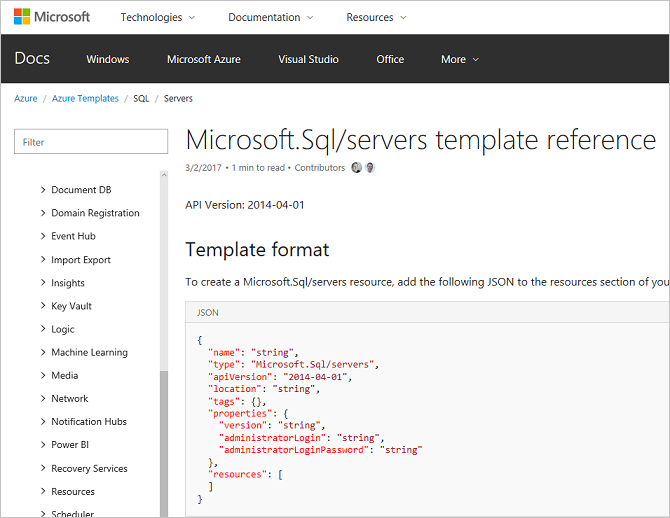 The template reference content represents a new type of documentation for docs.microsoft.com. As you use it to build your templates, let us know how it can be improved. Please provide feedback about your experience.